The January challenge has been a truly international experience, as we learned our techniques from Elena Nedechina of Laboratory Milaniya in Russia, Cinzia Adolfi in Italy sponsored the grand prize for the advanced category, Alex Kelly of Custom Soap Stamps in the U.S. sponsored the grand prize for the regular category, Voyageur Soap & Candle Co in Canada sponsored the rest of our prizes, and we had 206 members join the challenge from 20 different countries! Cinzia Adolfi and Alex Kelly are both custom stamp experts. 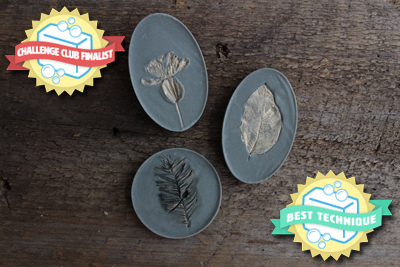 If you need a custom stamp created with something other than plant material, they are both excellent artists. 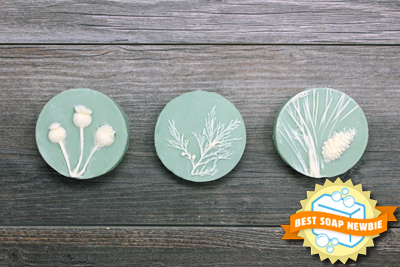 If you are looking for botanical materials, Voyageur Soap & Candle Co has what you are looking for, and so much more! 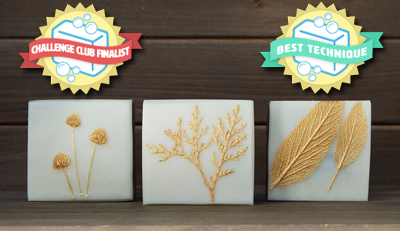 Elena Nedechina has been creating bas-relief soaps with plant materials (meaning the plant material is raised off the surface of the soap) since 2010, but recently perfected the technique with the help of English artist Rachel Dein. She was gracious to share her techniques with us for the advanced category. 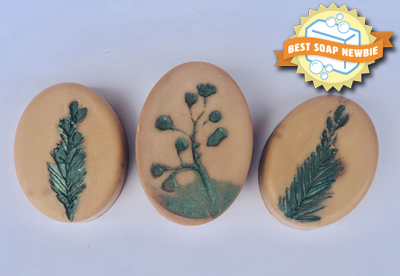 Elena also created a counter relief method for stamping an impression of the plant material into the soap for the regular category. She says, “This technique allows you to get a unique result. Each soap of each soapmaker can’t be exactly the same as there can’t be two exactly same flowers.” You will see this is completely true by the results of our members! 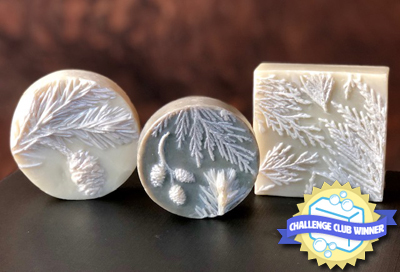 The goal was to create three unique soaps with local plant materials – not an easy feat when much of the world is currently frozen and covered in a blanket of snow – but the members came through, and some had to get a bit creative! Several mentioned a new appreciation for nature as they were looking for their specimens, and find themselves still looking for ideal plant material when they are out in the wild. 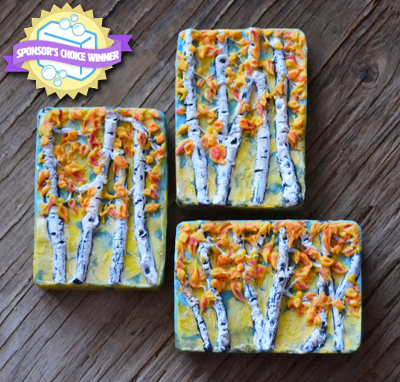 Diane wins a custom wood stamp from Cinzia Adolfi – congratulations!! 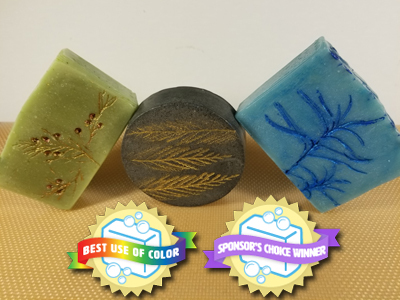 Be sure to click on the photo of her soap to see her Facebook post with photos of even more beautiful soaps that she created with this technique. Helene wins a $35 gift certificate from Voyageur – woo hoo! 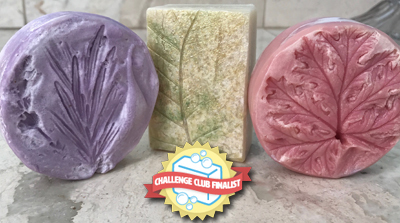 The photo of her entry is linked to her Facebook post where she shows more photos of her soaps and the botanical materials they came from. Emily’s prize is a $25 gift certificate from Voyageur – fantastic! 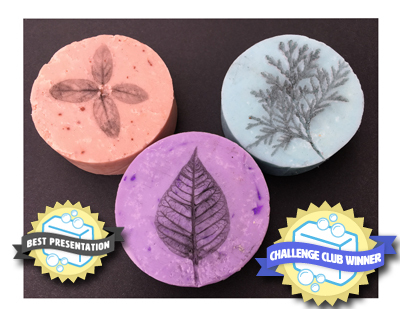 Her soap photo is linked to her Instagram post with more information about her soap, as well as another photo of other soaps she created with this technique. Debi wins a $20 gift certificate from Voyageur – great job! Click on the photo of her soap to see her Instagram post with all the photos of her process in making this soap. 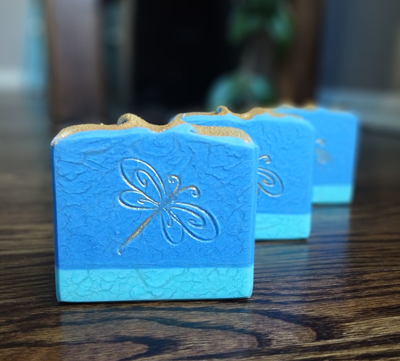 Click on the photo to see Pam’s post on her Facebook business page about her soap. 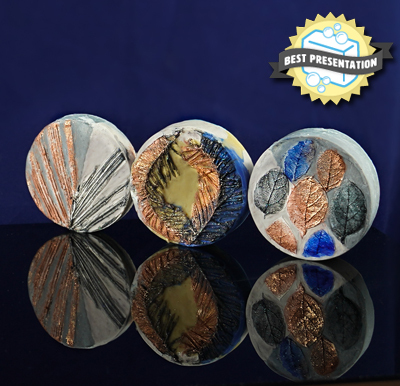 Best Presentation award goes to Irina Beketova of IB Organics Skincare in Texas for her incredible photography skills in capturing the mirror images of her soap, Enchanted Leaves, with such clarity. The deep blue background gives excellent contrast to the soaps, while highlighting the blue parts of the soaps. Read more about Irina’s soap by clicking on the photo to see her post on Instagram. 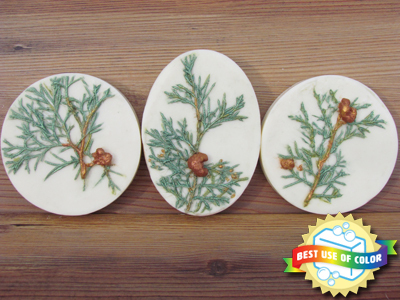 Patty wins a custom soap stamp from Custom Soap Stamps!! Be sure to click on the photo to read more about her entry on her Facebook post. Congratulations, Meredith! You’ve won a $35 gift certificate from Voyageur! Check out Meredith’s Instagram post about her soap by clicking on the photo. Tamara wins a $25 gift certificate from Voyageur. Her photo is linked to her Instagram post with more information about her soap. Rhodana wins a $20 gift certificate from Voyageur, and you will definitely want to click on her photo to see more details of her work on her Instagram post! 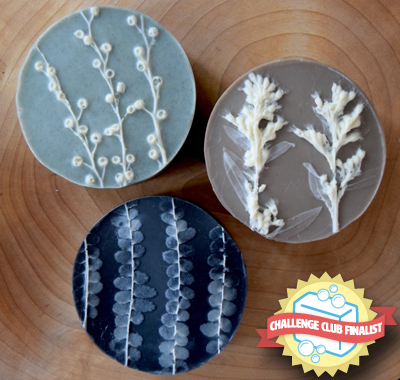 Registration opens Monday, February 4 for the February challenge! You will also have the option to sign up for March and April at a discount if you wish. More information on the Current Challenge page.